Sushi Land Clarkston review, pics, menu info, and hours for Sushi Land, the highly-rated sushi restaurant located on Dixie Hwy in Clarkston MI. 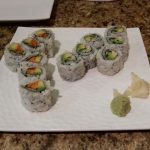 Sushi Land came highly recommended by our facebook friends and I had to venture out there to check it out. From the outside, you have no idea what to expect. 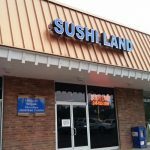 Sushi Land is in a strip mall and the dark tinted windows have you wondering if it’s a restaurant or a small take out counter inside. 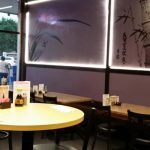 When you open the doors to Sushi Land, it’s actually quite spacious and nice inside. A restaurant with ample seating and very clean. The staff at Sushi Land Clarkston was awesome. 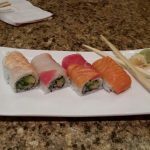 That’s one thing I’ve been finding to be quite consistent with the sushi restaurants… everyone is so helpful and kind, and they take great pride in what they do. 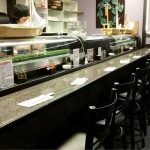 At Sushi Land, they know the menu well and they guided is toward the best options for our diet restrictions. Our server spent a lot of time with us and we were checked in on by many while we dined to make sure everything was ok. The sushi menu at Sushi Land was huge…exactly what you’d expect and hope for from a full service sushi restaurant. The sushi was fantastic. Super fresh and well made. My only complaint would be that I wanted more! The serving sizes were small for what they charged. I’m a petite 105 pounds and I ended up eating three rolls and running a tab of about $35 when you throw in the glass of wine. 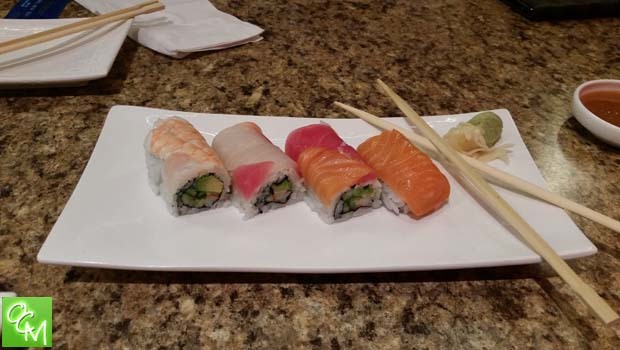 It took just about the three rolls before I felt I had eaten enough. 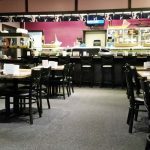 Sushi Land Clarkston also serves Hibachi, Teriyaki and Noodles dishes. 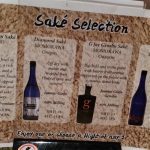 Their alcoholic beverages offered include beer, wine and Sake. 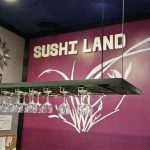 Sushi Land has expanded to add an additional location in Flint on West Hill Rd.